The University of Nevada, Las Vegas (UNLV) is located on a 335-acre campus in the heart of Las Vegas. 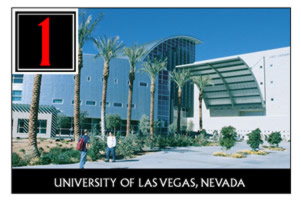 With some 21,000 students, more than 600 faculty members and more than 150 undergraduate, master's and doctoral degree programs, UNLV offers a high-quality, educational experience, strong research programs housed in modern facilities and selected professional programs including the William S. Boyd School of Law. UNLV, International Gaming Institute and also the College of Hotel Administration are highly regarded throughout the country. 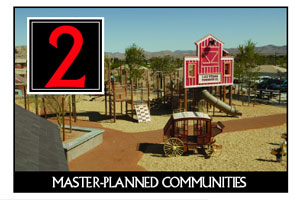 Master-planned communities are a highly sought after within our thriving new housing market in Las Vegas. Approximately 23 master-planned communities offering a wide variety of amenities, different architecture styles with numerous floor plans as well as their unique personalities. These “mini cities” allow residents the enjoyment to live, work and shop within their community. 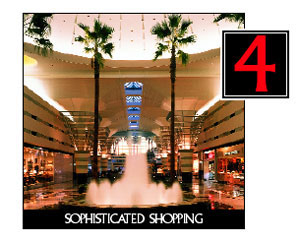 Southern Nevada retailers and internationally recognized designers have added both opulent and affordable shopping. There are a variety of venues from chic shopping plazas inside the numerous luxury hotels to theme malls and brand outlet shopping. The Forum Shops at Caesars' Palace is the most successful mall in the country based on sales per square foot. It is home to some of the finest designer names in the world. Shoppers visiting the Venetian Casino Resort's Grand Canal Shops are treated to singing gondoliers while strolling among the world's most exclusive stores. The Fashion Show is one of the most popular shops on the strip and has just completed a major expansion for traditional mall lovers. 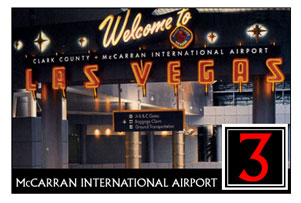 Las Vegas’ neon signs are recognized internationally as the tallest, brightest and most elaborate in the world. The Las Vegas strip provides numerous entertainment choices ranging from superstar performances in intimate showrooms to multimillion dollar production extravaganzas. See “O” at The Bellagio, “Mama Mia!” playing indefinitely at Mandalay Bay, The Blue Man Group at Venetian or “Mystere” at TI. Southern Nevadans are passionate about their golf and they should be. They live in a golfer's paradise. There are more than 40 public and private golf courses today, including courses designed by the best in the business: Tom Fazio, Pete Dye, Perry Dye, Ted Robinson, Arthur Hills, Rees Jones, Johnny Miller, Jack Nicklaus and Arnold Palmer. 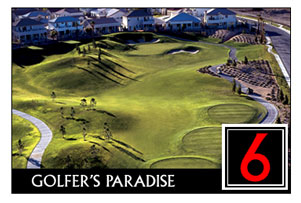 Las Vegas offers many different course styles form which to choose. Golf is a year round sport in an average temperature of 68.5 degrees and more than 300 days of sunshine per year. Hoover Dam and Lake Mead, where Nevada meets Arizona only 34 miles east of Las Vegas, is one of the nation’s most popular tourist destinations. Grand Canyon, and has a shoreline of more than 550 miles and a surface area of 255 square miles. 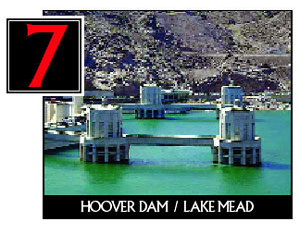 Lake Mead is America’s largest man-made reservoir. Las Vegas is truly a place for children of all ages. 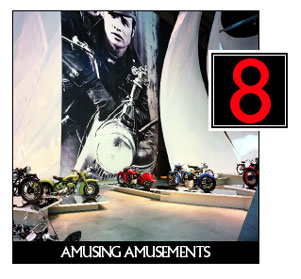 Southern Nevada offers a myriad of non-gaming entertainment choices, many of which are enjoyed throughout the year. 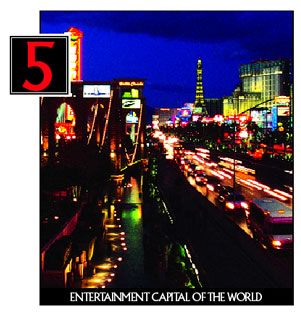 The region's wide range of activities include museums, theme parks, a seasonal water park on the Las Vegas Strip, roller coasters, skydiving, fishing, Lake Mead cruises, Colorado raft tours, mini grand prix for young auto racers, miniature golf, arcades, a children's zoo, a dolphin habitat and hot air balloon rides.